I’m currently working on my final project for my apprenticeship. Here in Switzerland, basically at the end of your apprenticeship, you create a full product, to show you’ve earned the knowledge you should have. Now what I’m doing is a display driver – a small circuit with a microcontroller to control a small graphic display, which will later be used in a flight training yoke which is made at the company I work for (see http://www.beh.ch/index.php?id=143?&L=4 for details). 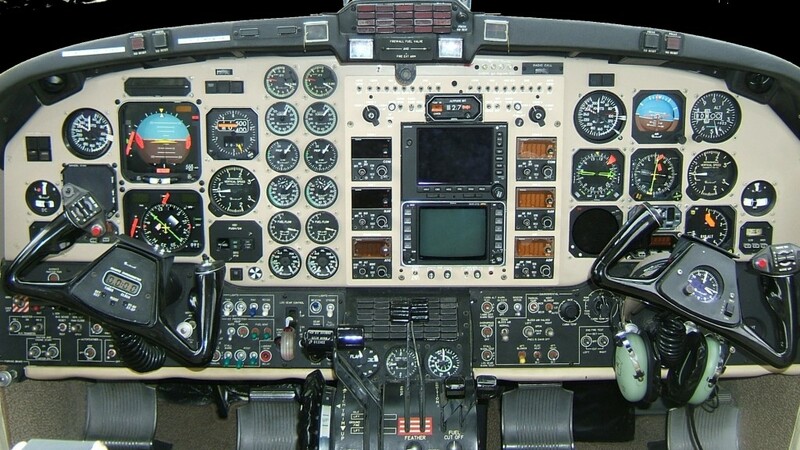 Now since I assume the external expert who will judge my project documentation does not have a flying background, I need an example of a display built into a flight yoke, and I found that in your photo. The documentation is for internal use only – that is, my mentor, the expert and maybe some future apprentices are going to see it. While the end product is indeed commercial, the documentation about it is only my final project, and of no “real use”. Could I use your photo for that purpose? I’d also like to crop it a bit to the yoke if that’s okay. Very sorry for the late reply. Your comment was lost in spam. If it’s not too late feel, free to use any of the material I’ve posted.